The Golden Table initiative has been very popular since it was implemented last academic year. The children enjoy being waited on by staff; equally staff enjoy waiting on the children. Thank you to the Catering Team for always ensuring the table cloths, napkins, flowers, jugs of squash and bread baskets filled with freshly made bread are part of the experience. On Tuesday 30th January eighteen children from Chilcote participated in a mixed sportshall athletics tournament at Kings Heath Boys School. In total five schools participated in the tournament. The children each had to do two track events from: obstacle relay; 1 + 1 lap relay; 2 + 2 lap relay; 1 + 1 lap hurdles relay; over/under relay; 4 x 1 lap relay. The children also had to do two events from the field, which were: chest push; standing long jump; five strides jump; vertical jump; soft javelin; speed bounce. The children had their distances, scores and times measured and this gave them a score which gave Chilcote an overall team score against the other schools. A great performance by all of the children and a gold medal finish. All of the children gave their all and did their best so well done to all!!! On Tuesday 30th January eighteen children from Chilcote participated in a mixed sportshall athletics tournament at Kings Heath Boys School. In total seven schools participated in the tournament. The children each had to do two track events from: obstacle relay; 1 + 1 lap relay; 2 + 2 lap relay; 6 lap paarlauf; over/under relay; 4 x 1 lap relay. The children also had to do two events from the field, which were: chest push; standing long jump; standing triple jump; vertical jump; soft javelin; speed bounce. A great performance by all of the children and just outside the medal positions. All of the children gave their all and did their best so well done to all!!! Reception were very lucky today to receive a visit from PC Martin. We had lots of questions for him about his job, his uniform and other equipment. He even let us try on all his hats and explore the police van. We worked out how to turn the flashing lights on! On Wednesday 24th January 2018 the Chilcote boys football team played in a football tournament at the Birmingham City FC training ground - Wast Hills. They played in the Dome, which was a fantastic experience for them all. Also, they got to meet a current Birmingham City FC player. The tournament was made up of eight school teams and was a 6-a-side competition. Every team played each other once with the top three teams going through to a finals event. Chilcote started with a game against Dorridge. They were a little bit lapse to begin with and conceded early. They then conceded again before pulling a goal back through Dylan which spurred them on but to no avail as they couldn't find an equaliser. In their second game Chilcote started well and dominated the game but missed their opportunities when they came to them and then with their first attempt Timberley took the lead. They then got a penalty and scored to make it 2v0. Chilcote had a few more chances but again couldn't find the back of the net. In their third game they played against Highters Heath and played really well. They created a host of chances but as had been the case in all of their matches just couldn't find the finishing touches. They hit the bar twice and missed some one on one opportunities. the game ended 0v0. Another 0v0 followed against the Abbey School, although in this game Chilcote were lucky to escape with a point. Dogged defensive work and a little bit of luck got them through. Chilcote then played against English Martyrs School and went 1v0 up through Madison after a great solo run and finish. They then had numerous chances to put the game to bed and win comfortable but couldn't hit the back of the net. Unfortunately, with the last kick of the Game Martyrs equalised to make it 1v1 - heartbreaking for the team. In their penultimate game Chilcote played against Monkspath who had looked good against the other teams and proved to be too good for Chilcote on this occasion. They scored with two wonder strikes to win 2v0. Finally, Chilcote played against Tidbury Green and despite dominating again found themselves 1v0 down to Tidbury's first shot at goal. No more goals followed which meant a 1v0 defeat for the boys. This meant that Chilcote finished in 7th place overall, but with a bit of luck and better finishing may have finished halfway. All the boys did their best and represented the school really well, well done to all!!! We all thoroughly enjoyed this topic and have successfully answered the question: ‘What makes a good kite?’ after we received a text message from Philip. 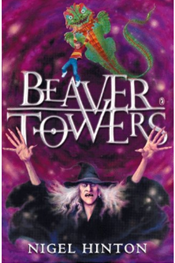 He is the main character in Beaver Towers, which is the text we have been reading. 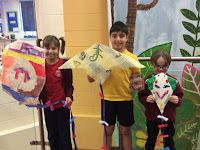 We also flew, researched, examined kites, and then designed and made our own kites! We are now waiting for a windy but dry day to test them out and evaluate them. On Wednesday 17th January 2018 twelve children, six from each phase, represented Chilcote at a Gymnastics competition at Kings Heath Boys School. In the Year 3 and 4 competition there were seven schools who entered teams of six children. All of the children in each team had to perform a floor routine and then a vault. The highest five score from each team were combined to give a total team score. All of the children in the Chilcote team did really well in both areas and performed to the best of their ability. When all of the scores were in Chilcote had finished in fifth place overall. They were only 9points behind the eventual winners - Hollywood. In the Year 5 and 6 competition there were five schools who again entered teams of six children. As before, all children had to do a vault and floor routine. The children excelled themselves on the floor routine with hardly any mistakes from anybody. When all of the scores were in it transpired that Chilcote had finished in first place for the competition with a score of 89. On top of that, Enya and Abi scored the highest and second highest scores on the floor routine out of the whole competition so received individual medals as well! All of the children represented Chilcote superbly well and should be proud of their efforts, well done to all!!! Children in dance club have worked very hard learning dance moves to create a fantastic routine. In the video below is their performance to the whole school in assembly. I am sure you will agree that they did brilliantly! On Friday 12th January, Junior Choir went to the Genting arena at the NEC to take part in the Young Voices concert as part of a massed choir of nearly 7,000 children. It was a fantastic night ! Our choir sang 17 songs- some of them medleys which were very long- all off by heart. It was the culmination of nearly 5 months hard work. We had great fun adding our dance moves to the songs and joining in with the street dancers. Everyone in our choir sang extremely well and behaved beautifully- it was a very long day but everyone managed to keep going throughout a long rehearsal and the concert itself. Well done to everyone- we were very proud of you all. Thank you very much to Mrs Drew, Mrs Bundy and Mrs Doherty who all gave up their afternoon and evening to support us. We been amazed by the response to the Children’s Rights poster competition and the quality presented by the children. 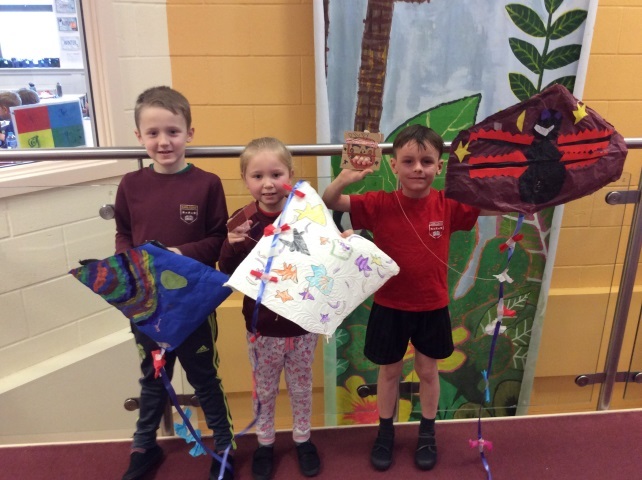 We are so proud of how hard each and every child has worked to produce some really special pieces. All their work will be displayed in the corridors for everyone to see, so please do pop in and have a look. The posters will be left on display for children from across the school to enjoy learning about their RIGHTS! This week we have started reading Fantastic Mr Fox and we are absolutely loving it already! We were completely shocked to find out that poor Mr Fox lost his tail in a nasty accident - those naughty farmers! Today we received a video message from Mr Fox himself asking for our help. He is worried that these nasty farmers are going to try and hurt other woodland creatures. So we have started preparing warning posters, so that the other animals know if they spot them and can stay away. Our descriptions of the farmers have been fantastic so far, so watch this space for our posters! Dhol performances at Chilcote -December 2017 (to the school) and January 2018 (to our parents). Chilcote dhol drummers have played at a variety of events recently- some played at our `in school` concert- to their friends and adults in school and some played at our Awards assembly for Phase 2 and parents. Thank you very much to all of our players- they work hard every week with Mr Singh, always showing great enthusiasm and commitment. They are all playing at a high standard and we really enjoyed their performances. Thank you to their parents too for their support. As an introduction to our new topic, Time Travellers, we have had a very busy and creative afternoon making our very own classroom Time Machines. A lot of thought and imagination was used to make our wonderful creations. Teamwork was a key part of the afternoon as we thought about how we wanted the machines to look. Some of us worked on the main body of the vehicles, others designed and decorated the driving seat, wings, engine compartment and other essentials for our forth coming journeys into the past. We even have a special section for magic stars to power our machine and a very stylish hat for the pilot to wear. 1 Elm worked hard on making a boot, seat with seat belt and control panels for their time machine. We are looking forward to exploring time with the finished result!